Conversations with Cinthia airs SUNDAYS on Faithtalk1360 KPXQ at 12pm MST. Send us an email or a Tweet @cinthiahiett and let us know what topics you'd like to hear about on your way to your own best version! Conversations with Cinthia is on every Sunday on Faithtalk1360 at 3:00-3:30pm. And our Sunday show airs 12pm MST. Send us an email or a Tweet @cinthiahiett and let us know what topics you'd like to hear about on your way to your own best version! 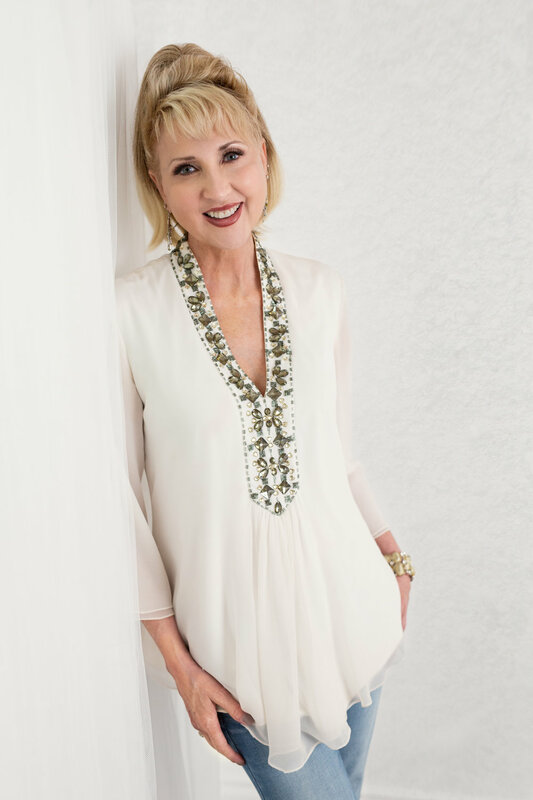 Cinthia Hiett is an accomplished relationship expert, psychotherapist and motivational speaker with over 20 years of experience as a Licensed Professional Counselor. Her education includes a Masters Degree in Counseling, and she's partially completed her doctoral work in Human Services in the College of Behavioral Sciences. Cinthia has taught the Psychology of Religion at Arizona Christian University among other courses. With a passion for helping men and women understand relationships and gender differences, she is widely recognized as an excellent speaker sharing inspiration and relevant teachings, traveling internationally presenting biblically based seminars and lectures on relationships, gender and other inspirations. "I am excited you are here and ready to embark on your journey personally and professionally to be your best version. Remember to leave your contact information and let us know how we can get started." -Cinthia Hiett. Conversations with Cinthia is a powerful weekly radio program about God, faith, relationships, personal accomplishments, career advice and many other relevant subjects of your day-to-day Christian life. This program will inspire and strengthen your faith in God and the gifts He provides each of us - every day. Cinthia has gone international! Listen in as Cinthia talks to an international audience during her Conversations with Cinthia radio program. A personal, one to one message awaits you. Please visit here to browse Conversations with Cinthia archives and to get started on becoming your best version. Cinthia is a well known and very successful relationship public speaker. She has presented numerous motivational speaker seminars and has lectured on a variety relationship, inspirational and mental health topics. Please visit here to experience Cinthia speaking and for information on booking Cinthia for your next event. Cinthia has been practicing for the past twenty years, specializing in adult psychotherapy, family relations, personality inventories and image consulting. Cinthia is available private and corporate coaching, and for groups successfully and amicably resolve conflict apart from litigation. Please visit here to learn more about Cinthia's counseling services. Please visit here for more information on counseling services. Cinthia has written several books including: God Wants You Truly Living and How Gender Speaks. Please visit here to order books online. Cinthia is an accomplished musician and often uses her voice and inspirational songs as a part of her presentations. Please visit here to hear Cinthia's voice and order music online. Conversations With Cinthia is a blog full of inspirational, motivational, and insightful teaching intended to deepen your relationship with Christ and encourage spiritual growth. As Teresa of Avila poetically articulates, we are the eyes with which God looks with compassion on this world; we are the feet with which He walks to do good, we are the hands with which He blesses the world. You will find discipleship, mentoring, and spiritual formation as you walk through the purpose that God intended for you while here on earth. Please visit the blog here to be inspired, motivated, and to learn. For speaking engagements, counseling, and questions.